From 3D printed walking sticks to prosthetic arms and robotic braces, 3D printing technology has often offered a helping hand to those who need assistive devices. We first heard about 3D printing non-profit organization Havenlabs in 2016. It was a busy time for the organization, which is made up of engineers and 3D prints prostheses for US war veterans. In a TEDx talk, co-founder River Castelonia highlighted the non-profit’s origins and plans, and soon after Havenlabs launched, it started a GoFundMe campaign in order to purchase a Formlabs Form 2 3D printer. Over the past year, it’s been working to further develop its organizational outreach plan to reach veterans. Now the team at Havenlabs has completed its second product – a 3D printed assistive device for upper limb amputees called the Utility Band. Mohammad Hasani, a mechanical engineering graduate from the City College of New York (CCNY) and the Havenlabs team lead designer, is passionate about product design and led the charge on the Utility Band project. “In Aug 2016 when I met River at Tesla, I was in love with his idea of 3D printable prosthetic hands. We had few conversations over the design and he accepted my request of joining the team. We developed more than 5 designs. The latest design was from scratch, a total new idea, for any type of amputated hand and customizable. Also, people with two partial arms could have more convenience to swap the tools for grabbing or picking different objects, with no need of others,” Hasani told 3DPrint.com. The goal for the Utility Band was a modular platform that could work with the tools Havenlabs creates, like its current tool and silverware holders, along with any other tools the open source community comes up with. The organization 3D printed its Utility Band on a LulzBot Mini 3D printer, using Ninjaflex filament. Loctite Super Glue was used to attach the Solid Slider device to a Velcro band. It prints out with no rafts and no supports. Castelonia told us that Havenlabs will soon be releasing more tools for its simple Utility Band platform, such as holders for phones and cups. “The platform is very simple and we hope that it can allow others to create unique tools for different actions to share with the open source community,” Castelonia told 3DPrint.com. “This device was inspired by the sacrifices of our veterans and we are incredibly grateful for their service. It is the blood, sweat and tears of these men and women that push us in our mission of helping others. My grandfather played a very big role in my up bringing and helped to shape me into the person I am today. He was a medic in the Air Force for 25 years and his stories of war he would speak of growing up helped to put a lot in perspective for me as a young adult today. My grandfather is a major reason for why we are doing what we are doing and can also say he is my best friend. 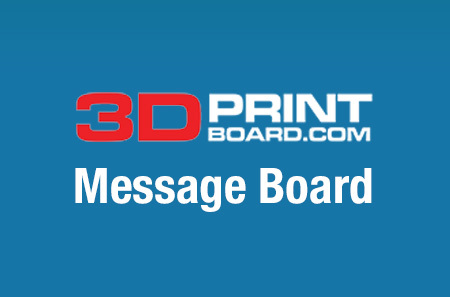 Discuss this article and other 3D printing topics at 3DPrintBoard.com; you can also leave a Facebook comment below.